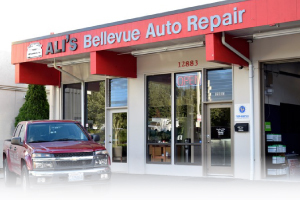 The Best Reviewed Auto Shop in Bellevue WA! 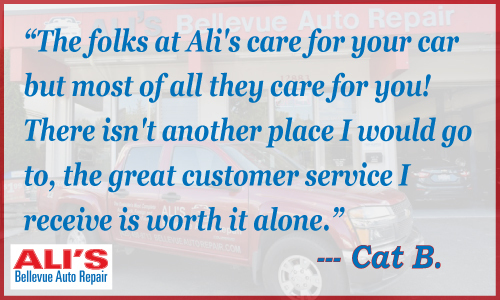 We are proud of our family-owned and operated business, and the service we get to provide to customers like YOU every day! 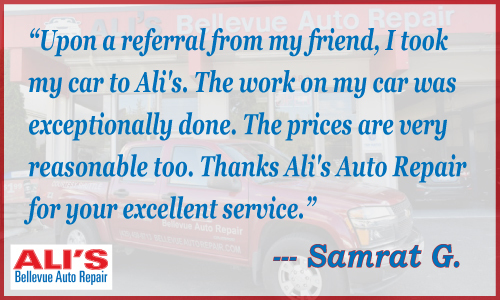 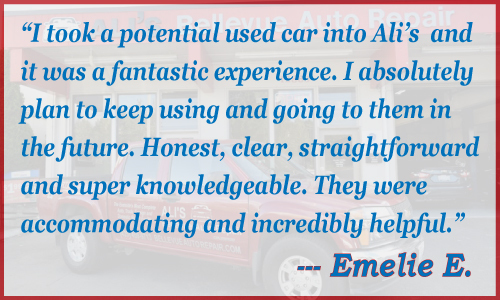 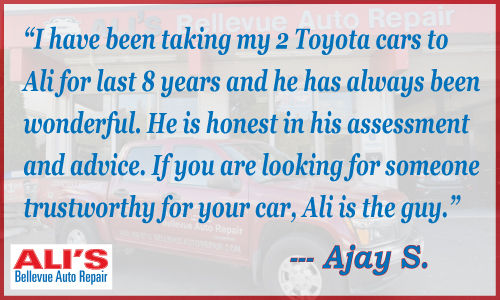 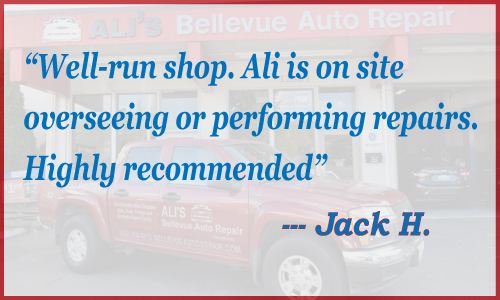 Ali's Bellevue Auto Repair is also thankful for all of the amazing customers who use our services and leave us such wonderful reviews. 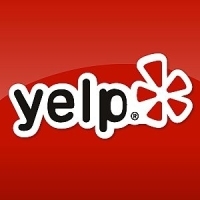 Here are a few great ones below, and if you feel up to it, you can LEAVE YOUR OWN REVIEW on Google, Yelp, or Facebook. 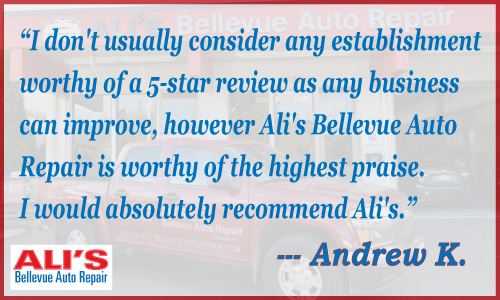 Thank you in advance for YOUR honest review and your kind words!